Attention Go-getters: The Girl Scout Challenge Continues! Share your inspiring story and you could win a $500 scholarship! That’s right. The 2016 Girl Scout Challenge is still going strong—so strong! So far, GSUSA has received tons of amazing stories of girls taking the lead to build a better world. Today, we thought we’d share a few to keep the excitement on high and to remind all Girl Scouts to share their awesome stories for a chance to inspire readers far and wide and win a $500 scholarship sponsored by MetLife Foundation—nice! These Innovative Daisies from GSHCC created chemo care bags to donate to children fighting cancer at their local hospital. The girls worked together to fill each bag with small activities, treats, and special notes telling the patients “how brave they were and how they hoped they will feel better soon.” The girls pledged and completed two hours to their project. Marysol of Girl Scouts of Orange County built a mobile library for Operation Warm Wishes to help deliver books to communities that did not have access. This Go-getter also collected over 1,000 donated books to fill its shelves. Although the mobile library has made many stops, Marysol’s most heartwarming experience was when it was delivered to local homeless shelter. “To see the residents of the shelter look through the books and get excited about having access to books. They expressed such gratitude and appreciation.” Marysol has pledged 150 hours to her project and has completed 100 hours. 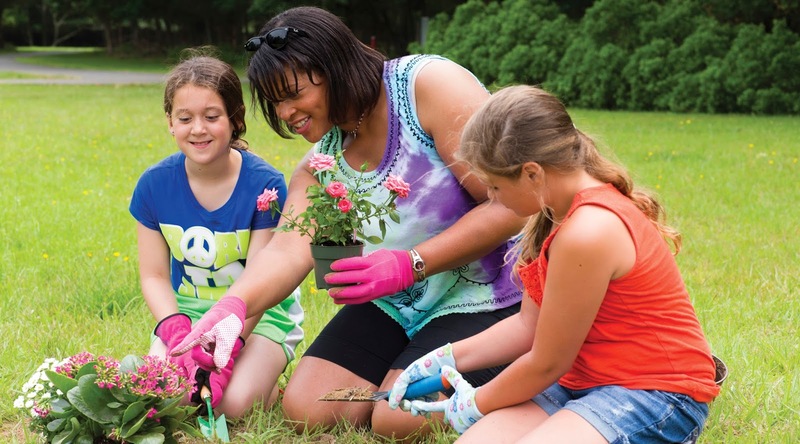 Harper of Girl Scouts of Southeastern Michigan is a friend to our pollinators – especially the Monarch butterfly. At only six-years-old, Harper has spent the last year studying and growing plants that benefit her favorite butterfly and the bee population because she “wants to give our pollinators a chance,” and help provide her community with delicious produce! Harper has pledged and completed 50 hours to her project. Ready to tell us GSUSA how you take the lead to build a better world? SUBMIT YOUR STORY! Remember the 2016 Girl Scout Challenge ends 12/27/16. Next Post Girls’ Choice Badges Are Back: Voting Is Open Through January 22!